In business today, one of the most significant challenges that you are likely to come across stems from the selection and choice of the best software packages. With so much to think about and consider, you can find it hard to get the right picks at prices that you can find comfortable and affordable. For anyone who is unsure of how to choose the best business software, life can be made so much easier by simply following along with the ideas and suggestions that we are going to put across in this guide. Many people invest in business software as it sounds great, or it comes with a load of features that they would have expected to need in the future – but never do. They buy it because they know a competitor uses it, or because a friend recommended it. However, the main way to make sure your software investments are a good value for your time and money is to look at your own company needs. How often do you really use the program that is being purchased? What kind of needs does it serve within your business? Take a look at where your limitations are, not what kind of cool features you think might come in handy later on down the track. One of the worst mistakes that you can make is to pick up the ‘cheap’ copy over the real thing. While sometimes you can save a lot of money on buying a similar but lesser piece of software over the more expensive brand name, software gets a reputation – and a price point – for good reason. Instead of trying to scrimp and scrape to save a few bucks, pay the premium. Look at the reviews for two comparable pieces of kit and see why one costs less than the other: nine times out of ten? There’s a good reason. The worst thing any business can do today is to look at their staff and make decisions for them. If you are not using the software every day, then you cannot say for sure if it stands up to the standards needed. Speak to the department that you are buying the software for. As professionals in that industry, they are sure to have opinions on each piece that you can recommend to them. Therefore, you let them make the choice and feel a more important part of the company and the community. When you make the decisions you tend to look at things like value over usage or format, so be sure to take the time to really look at the power of each option. Don’t make the choice on your own – consult those who will be using the software, too. With this in mind, then, you should find it a whole lot easier to recommend and then make the most of the software packages that are being recommended to you. With that in mind, you should see a pretty big change in the way that your business performs moving forward. 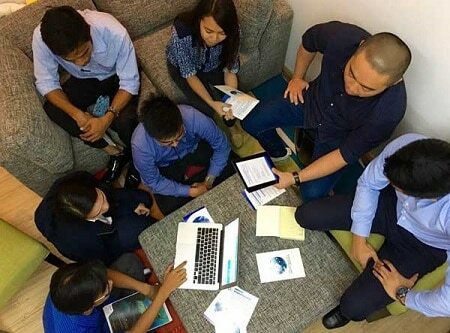 Finding the best business software in the Philippines can take a lot of hard work and planning. With the likes of Quadrant Alpha on the market, you have the opportunity to grab something that can fit your business, can feel within your financial scope, and can serve a genuine purpose to improve business performance. What more could you ask for?